Durango Dance 10th Anniversary - moving into our new building! Buy a t-shirt to help us finish our new studio! 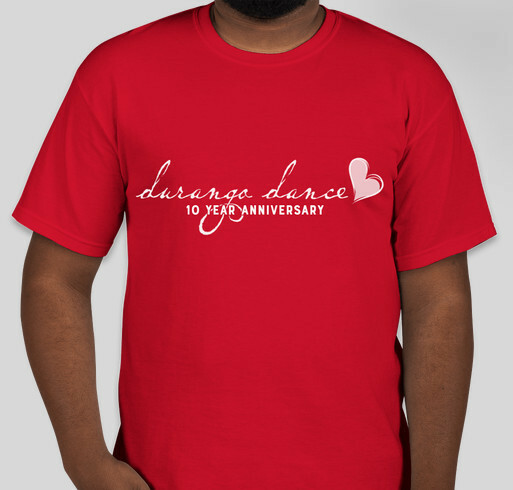 All funds raised will go to Durango Dance, the organizer for completing our new studio!. Durango Dance's new studio is almost complete, but before we move in, we have a few finishing touches to complete. Your t-shirt purchase will go to the completion of our sprung floors, mirrors, fire code compliance, and general construction. Yeah, I can’t wait to see it and dance!!!! Share Why You Support "Durango Dance 10th Anniversary - moving into our new building!"